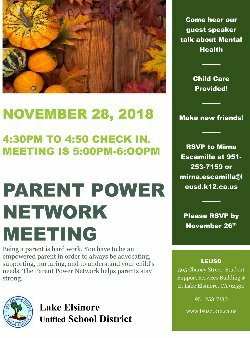 Parent Power Network November 28th Meeting, RSVP today! 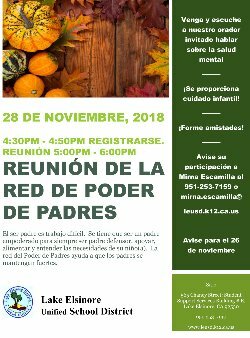 RSVP by November 26 by calling Mirna Escamilla, (951) 253-7159. Check in is at 4:50 p.m. meeting begins at 5:00 p.m.